Strange but true story at ABC news: 91 year old woman digs up and lives with the bodies of her dead husband and twin sister. Because she missed them. Aww! And then the authorities came and took them away. What was the harm, really? It couldn't have been a disease issue. People handle corpses every day--the dead animals they eat. If they were removed to protect the feelings of the bereaved, that can't make sense--she was evidently the primary bereaved. Most plausible explanation--the husband and sister wouldn't have wanted it. We respect people's preferences, even when they're not around anymore to care. Speaking of the dead. 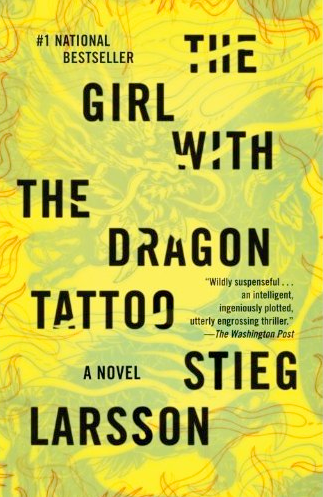 I've been thinking about Stieg Larsson, the Swedish author who didn't live to see his three unpublished novels become international bestsellers. (I just read and much enjoyed the first one.) Which brings to mind Aristotle's famous question about whether posthumous events make any difference to whether a person's life went well. He says: maybe some, but not enough to change a life from good to bad or bad to good. OK, that sounds nuanced and judicious, but granting that events can matter to the dead, it's kind of hard (understatement) to say how they matter. Does Larsson's posthumous success ennoble his life? Or is it a tragedy, because he never got to know about it or enjoy it? Was the unearthing of the husband and sister bad for them (because...eww!) or good for them (because it gave the wife/sister solace)? One of the distinctive things about the dead is that it's very hazy what's good and bad for them! Post-mortem laws are for the sake of the living, not the departed--but that doesn't mean the laws are only for the sake of the bereaved. They are for all of us. They assure us that our bodies will be respected when we're gone. We could harm our humanity by letting the woman keep the corpses. Yeah, I agree with Jason here on digging up the dead. Although, I wouldn't be terribly upset, by it. I would chalk this up to one of those purely social rules of conduct, like shaking hands, or looking in people's eyes. Some societies do it, and some don't.